All Aboard! 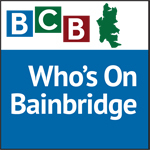 In this episode of “Who’s On Bainbridge”, podcast host Jason Goyette sits down with Captain Ty Anderson. Captain Anderson retired in December of 2014 after working for the Washington State Ferry for 30 years. In our podcast, Ty will share with you how he became a ferry boat captain, following in the footsteps of 4 generations of sailors in his family. Ty’s career at sea has included serving as a deckhand at the age of 16, to running a yacht for an oil company. 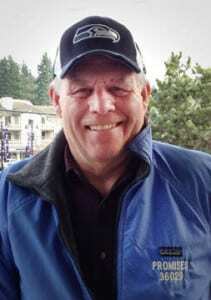 He has worked in the engine room of a research vessel for the University of Washington, and in his final years he served with Washington State Ferries on the Bainbridge Island / Seattle run. He has some great tales to tell. Captain Anderson will also discuss his role in addressing changes needed for the increase in bicycle traffic by making sure that the ferry system is adapting docks, access areas, and the boats themselves. In his time behind the wheel he has seen it all, from a baby being born on the way to Seattle, to being at the initial launch of the Tacoma. We will also find out what Ty has planned for his well earned retirement. Credits: BCB host and studio tech: Jason Goyette; BCB audio editor: Chris Walker; BCB social media publisher: Diane Walker.